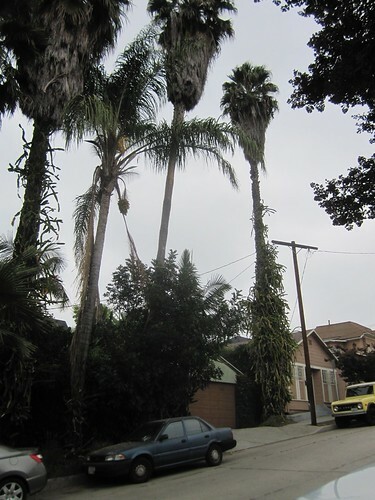 Our neighbors down the street on Douglas Avenue of crazy looking cacti climbing their palm trees. 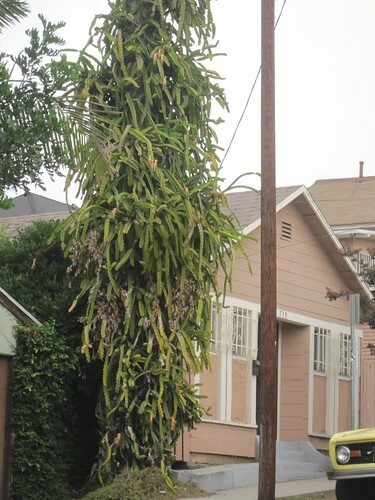 I was fascinated by how crazy they looked, and snagged a piece of it when they pruned the cacti back last summer. 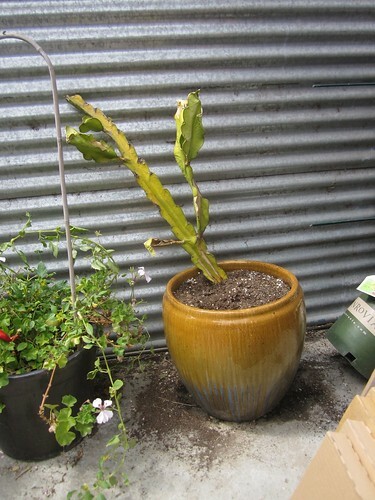 I stuck a piece of the cacti in a pot (the bottom 1/2 in the soil) in my back yard and watered it occasionally. 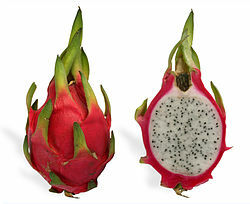 To my surprise, when I researched it, I realized that it is Dragon Fruit. It is a fruit I totally love when ever I go to Asia. I think of it as kind of a white kiwi. 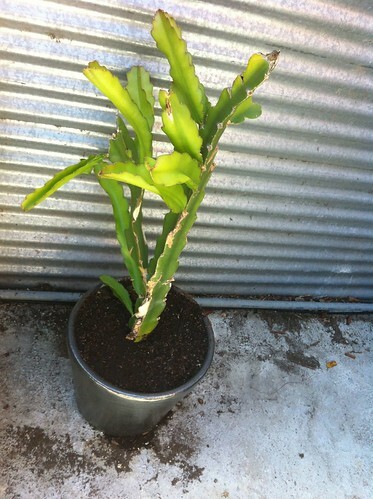 Here is my starter Dragon Fruit (below). This photo was taken a couple months after I planted it. You can see that it is starting to new segments. This spring I transplanted it into a bigger pot and put it on drip irrigation. I’m careful not too give it too much water. But it has grown a lot.